Up!Skilling 2018 will take place Saturday, April 28. We are currently seeking facilitators to lead workshops at this year’s event. If you are interested in teaching one or 2 workshops, please fill out this form by February 23. See the poster for further details, and stay tuned here for event updates! 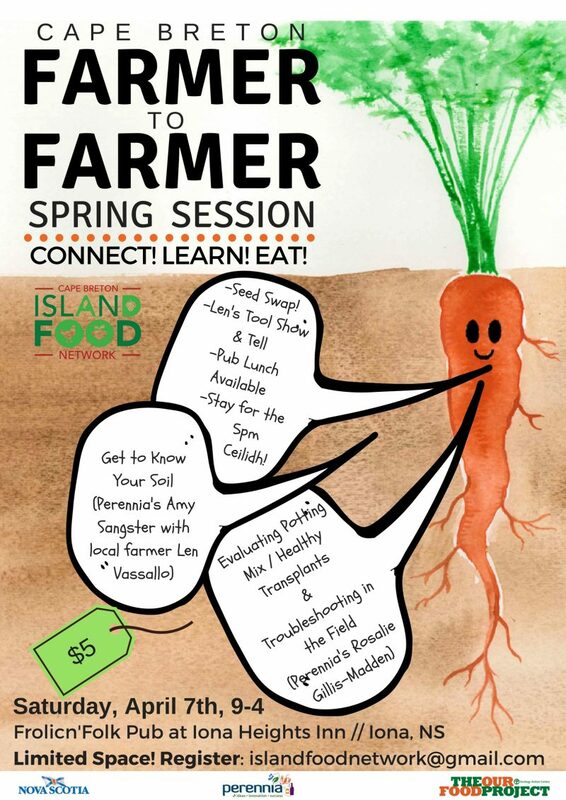 Cape Breton Farmer to Farmer Retreat!